If you own an Xbox One gaming console and wanted to play Xbox 360 titles on it, Microsoft is granting your wish. At gaming conference E3, Xbox chief Phil Spencer announced that backwards compatibility is coming to the current-gen console. At the event, the company demonstrated Mass Effect by Mike Ybarra, one of the most popular Xbox 360 titles, on the Xbox One console. The company notes that it is bringing “native” support for the old titles on the Xbox One. It will be bringing more than 100 such titles including Gears of War, Super Meat Boy, Halo Reach, Halo 3, and Borderlands, this holiday. 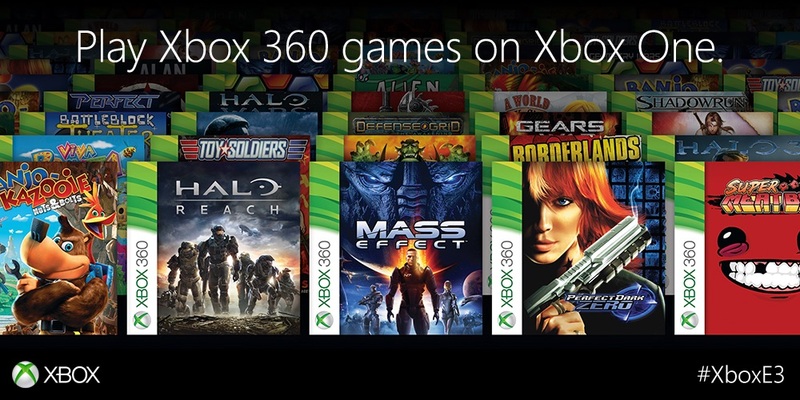 All your previously purchased Xbox 360 titles will appear on your Xbox One dashboard automatically. And don’t worry, the company won’t be charging you for titles you already own. Furthermore, you will be able to make use of modern gaming features like the ability to take screenshots as well as game DVR features. If you’re signed up in the Xbox preview program, you will be able to try select titles starting today. As for game developers, you guys need to approve of titles you want to port natively to Xbox One, and the company will make it happen.